Need a multi channel marketing platform which can reach your targeted customers via various means? Then Mobile marketing is the right and only choice for you. NSSR Digital Infotech serve you with the most efficient and prominent mobile marketing techniques which is emerging as the best digital marketing strategy which allows you to reach your targeted customers on their smartphones of various screen size and working on various platforms. Customization and personalization is the key to attain success with mobile marketing, hence we serve you with customized services based on your business industry and also targeted customers. Mobile marketing can be done successfully only if you understand your audiences like their profile, job designation, requirements, and so on. Here we create persona of your targeted customers to understand then and their requirements better so as to approach them with apt strategy. Before strategizing your work you must set your end goals. Our team first mark a starting point and keep each aspect of mobile marketing on the same page, and if you are already work on it then first determine either the outcomes are satisfying our end goals or not. 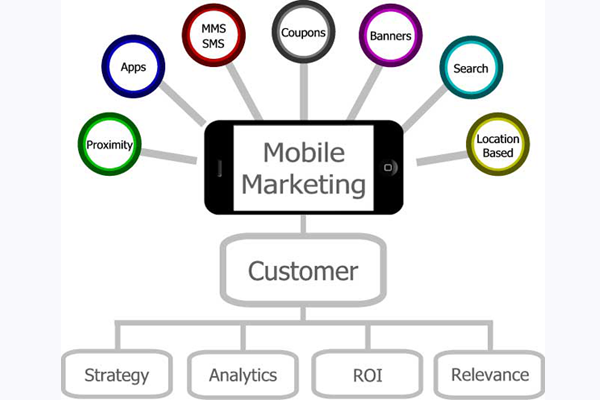 Like other marketing strategies mobile marketing also need to be analyzed, tested and optimized based on its performance. Our mobile marketing strategies include user engagements, acquisition, and customers services which go hand in hand parallel to each other.